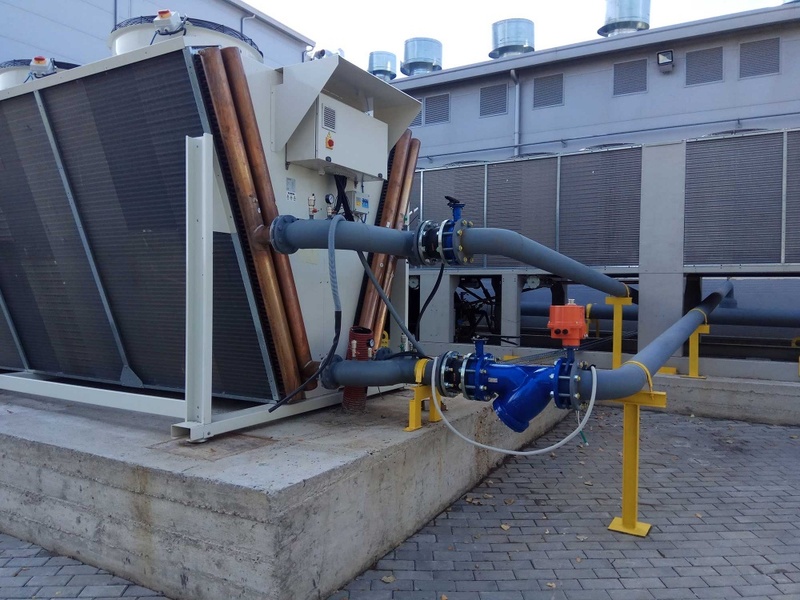 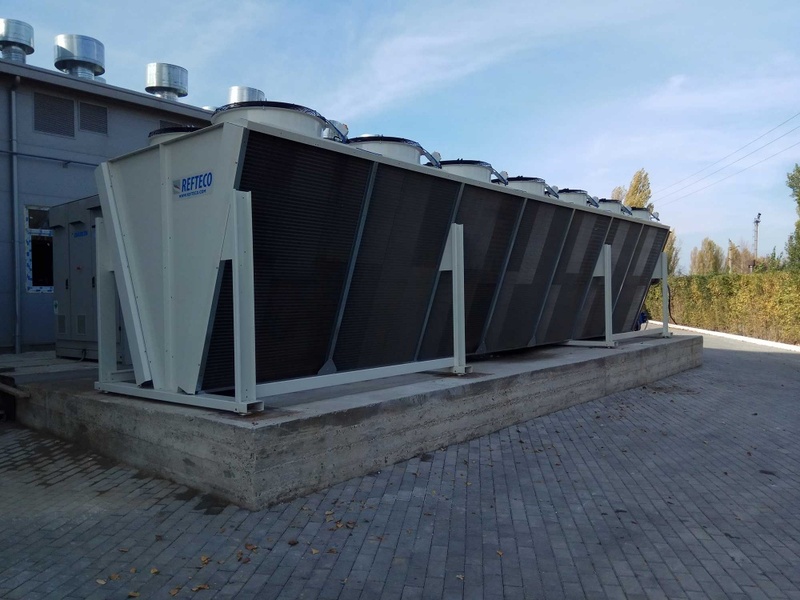 For this project relative to air-conditioning of a pharmaceutical industry, we supplied a large liquid cooler with EC fans. 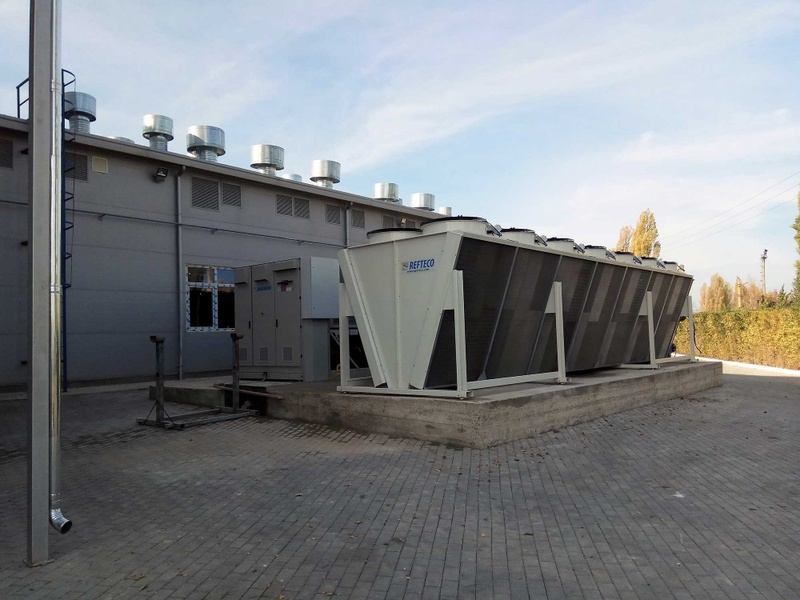 The unquestionable energy efficiency of these electronically commuted fans is further enhanced by the installation of a special control mechanism on the machine, which ensures optimum management of the fans for the best possible performance of the liquid chiller, setting the operating parameters according to the customer’s specific needs. 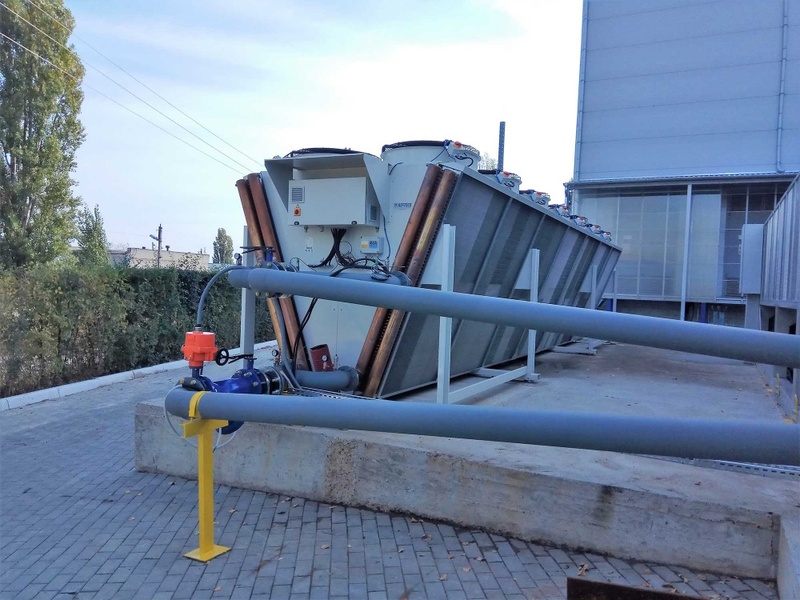 This device can also be controlled remotely via Modbus connection, to ensure correct operation of the unit.